Two of Australia’s largest insurance firms, Swiss Re and Lloyd’s Australia have pledged their support to SpinalCure’s quest to introduce neurostimulation treatments to Australia. The companies hope that other insurance companies will follow suit and support the initiative, which not only will improve the life of people with a spinal cord injury but also reduce the heavy cost burden on the industry. 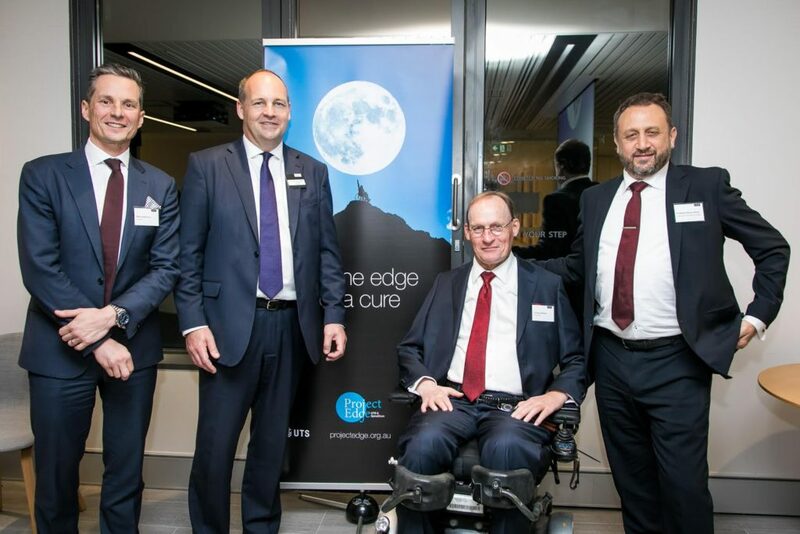 L:R Mark Senkevics, MD, Swiss Re Australia & New Zealand; Chris Mackinnon, Lloyds General Representative in Australia; Duncan Wallace, CEO, SpinalCure and Professor Bryce Vissel, Director, Centre for Neuroscience and Regenerative Medicine, UTS.